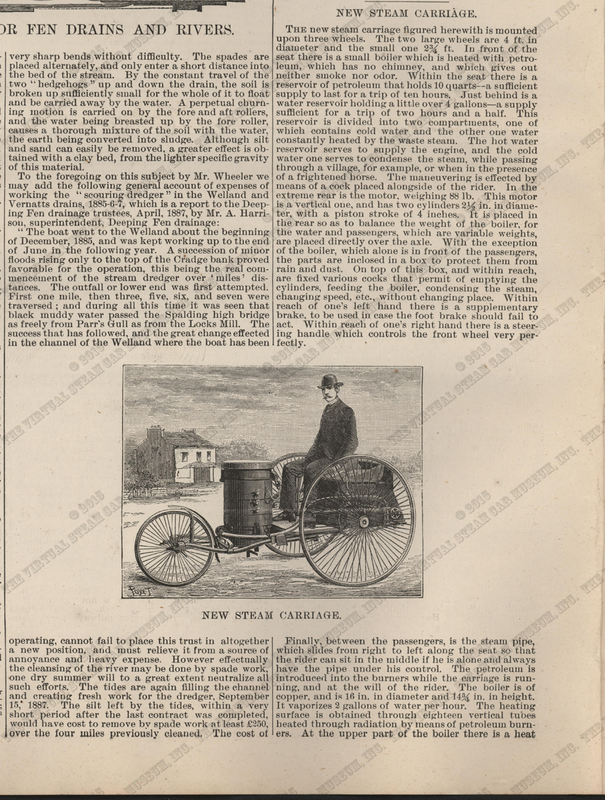 The December 17, 1887 issue of the Scientific American Supplement reprinted this steam carriage article from La Nature. Its inventor or maker is unidentified, as is the location of the machine. 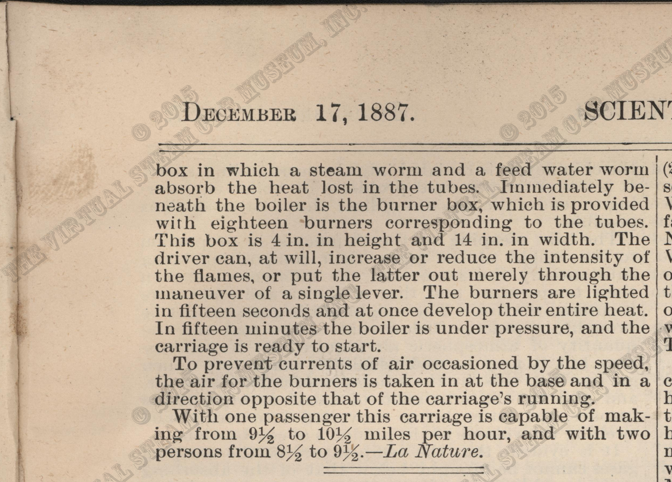 The Scientific American Supplement of December 17, 1887 reprinted this steam carriage article from La Nature, pp. 9962 - 9963. Contact us if you have additional information about this 1887 Steam Carriage, or if you have questions.